PALMVIEW — The Palmview Municipal Court is offering a two-week amnesty program for those with pending arrest warrants. The program began Monday and runs through March 9 and gives those with Class C misdemeanor warrants an opportunity to resolve unpaid tickets and fines. Class C misdemeanors are mostly traffic-related, but also include public intoxication, disorderly conduct and trespassing, among other low-level offenses. If the total amount of the fine is paid in full, the city will waive the warrant fee and failure-to-appear charges and the active warrant will be removed. 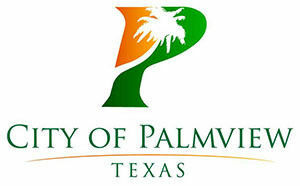 The city is owed nearly $3 million in fines from more than 5,000 citations dating back to 2010, said Palmview Municipal Court Administrator Gloria Acevedo. Payments can be made at the Palmview Municipal Court, located at 400 W. Veterans Blvd. in Palmview, Monday through Friday from 8 a.m. to 5 p.m. Payments can also be made online at https://trafficpayment.com/default.aspx.